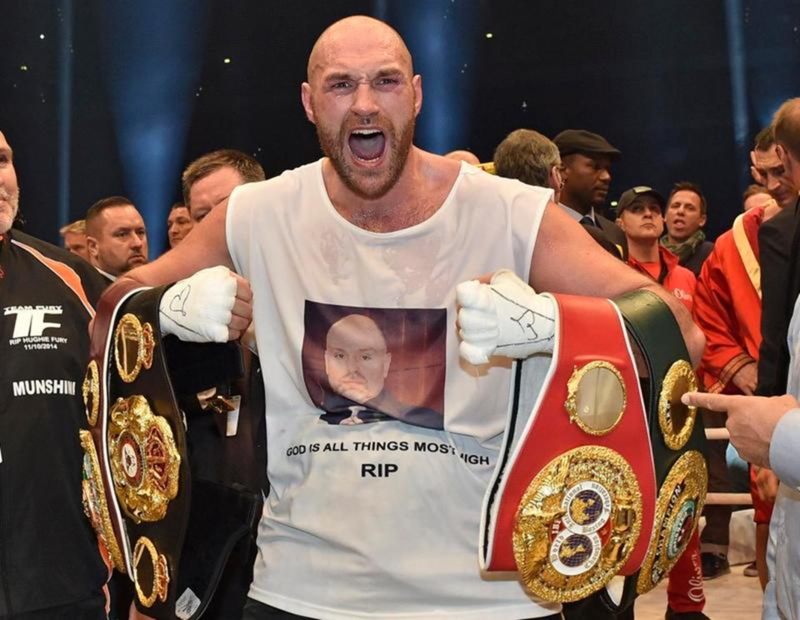 When lineal heavyweight champion Tyson Fury 25-0 (18) returns to the ring next Saturday night to take on Albanian cruiserweight Sefer Seferi 23-1 (21) it will be a victory in itself. The 29-year-old reached the peak of his career in November 2015 with his unlikely win over long-reigning heavyweight champion Wladimir Klitschko. Fury revelled in the spoils of victory but before long his partying spiralled out of control. After a prolonged period of drinking and drug abuse depression set in, delaying his return to the ring until he eventually decided he had had enough, walking away from the sport and relinquishing his titles. Fury has been open about his battle with depression, a much maligned and misunderstood condition that affects people from all walks of life. “I woke up every day wishing I would not wake up any more,” Fury told BBC Sport. “But I am living proof anyone can come back from the brink. Fury’s fight with Seferi will be his first bout in over 900 days. He readily admits that his opponent is no world-beater, but after so long on the sidelines – a period during which he blew up in weight to a reported 350-pounds – he recognises he needs time to rebuild. During his hiatus from the ring a new generation of heavyweights have cropped up to fill the void. Britain’s Anthony Joshua has claimed the IBF, WBA, WBO and IBO titles that Fury abandoned, while across the Atlantic Deontay Wilder – who was the newly-minted WBC champion when Fury walked away from the sport – is now an established champion with seven world title defences under his belt. “I needed the rest,” said Fury. “I felt tired of boxing, drained. I needed to be rejuvenated; 100% the break benefited me. But first things first. Fury has to get past Seferi at the Manchester Arena on Saturday night. “I’m not going to rush it. I’m 29, in the prime of my life and have never felt fitter, stronger or better. Rome wasn’t built in a day. This is my second career now, coming back after nearly 1,000 days,” he said.